Creditors and service providers all understand that sometimes it needs to be done. All remedies have been exhausted to try and recoup the debt from the consumer, and a final letter should be sent to the consumer notifying them of the next action. But, when do you make the decision to send them: Two months, three months…a year? The time line is heavily based on the type of account and the last encounter with the consumer. The longer the account sits, the more difficult the account becomes to collect. Addresses and phone numbers change. Bank accounts and employment often change as well. There are resources to help assist collection agencies locate new information, but it’s not always the most current. At the same time, clients get new systems (we know about this very well), and paperwork gets shifted around, making it difficult to locate supporting documentation for the claims as time goes by. The last contact with the consumer can also determine how soon their account is turned over to collection. If you know the account is being disputed and they refuse to pay, that’s the time to send the file over to a collection agency. If the consumer is making attempts to pay and is in constant communication with you to provide updates, you may want to give them more time to take care of their bill. 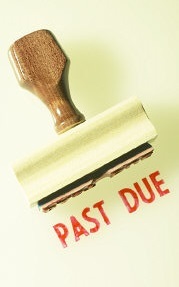 Ultimately the decision is up to the creditor on when the account should be forwarded to a debt collection agency. Just know that the length of time does make an impact on how collectible the debt can be. If you are questioning whether or not it’s time to send an account to a collection agency, that’s a good indicator that it’s time.